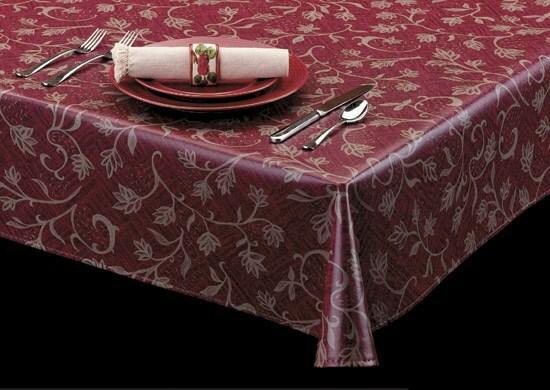 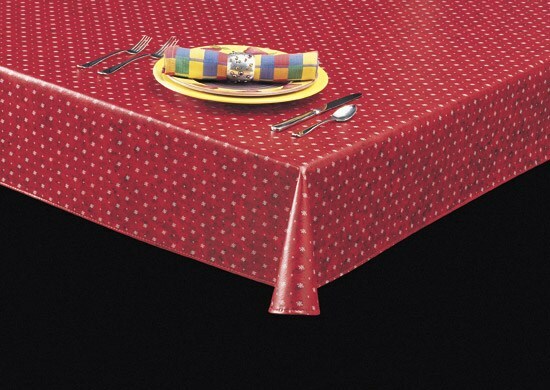 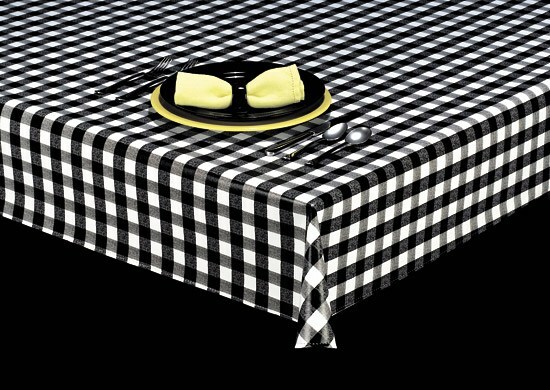 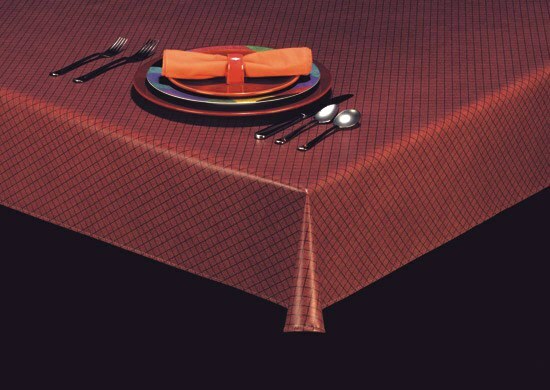 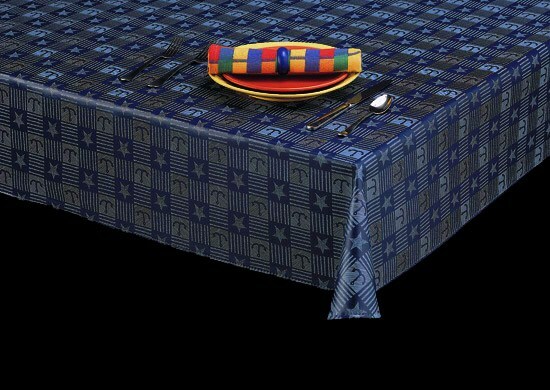 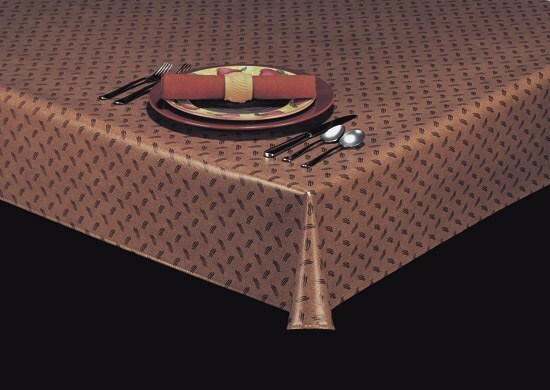 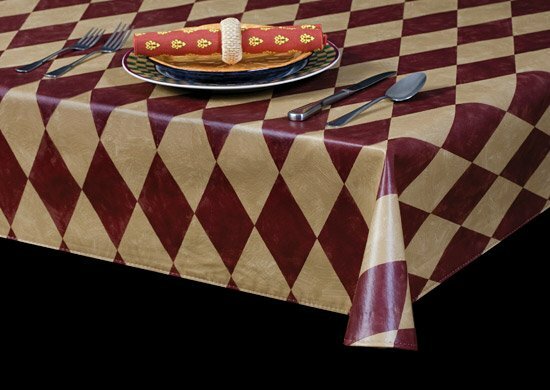 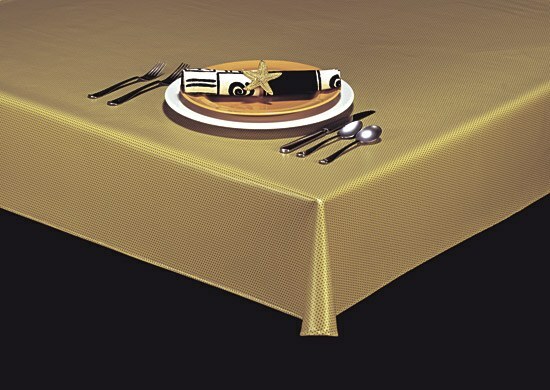 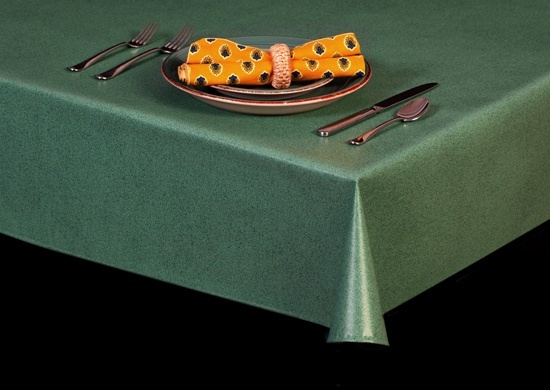 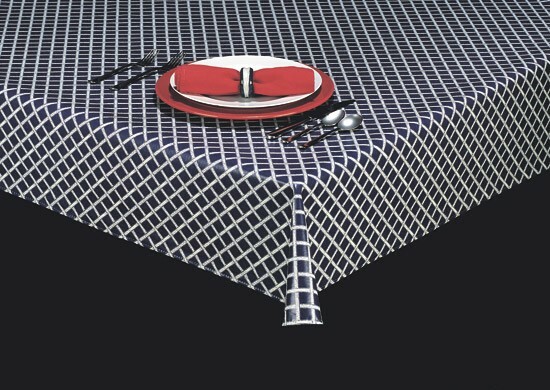 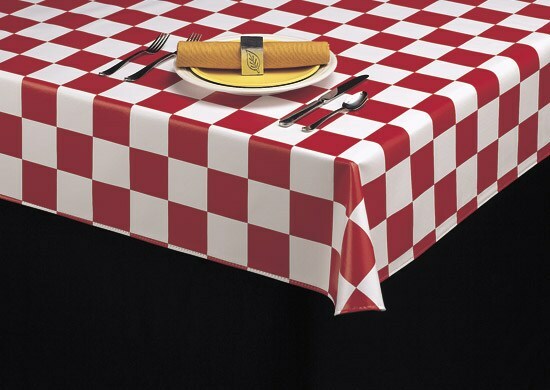 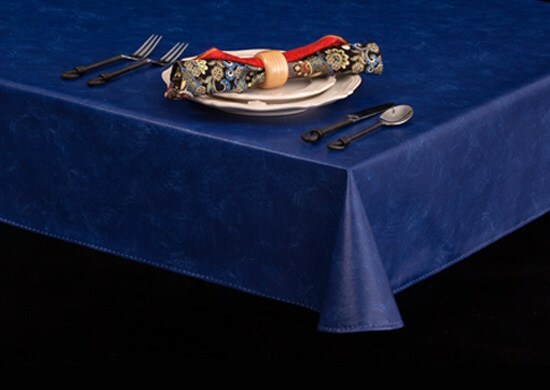 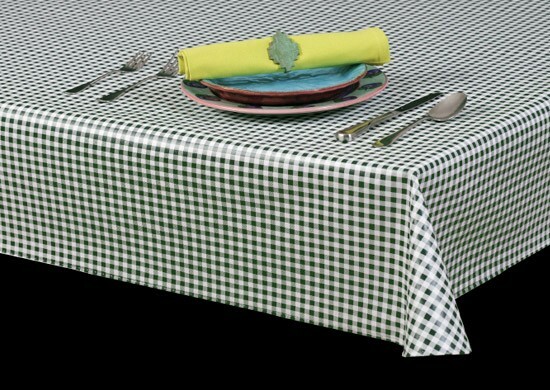 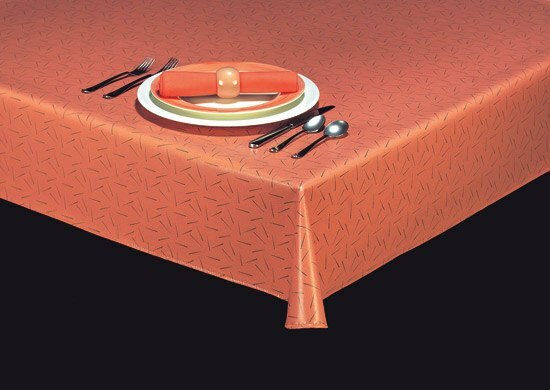 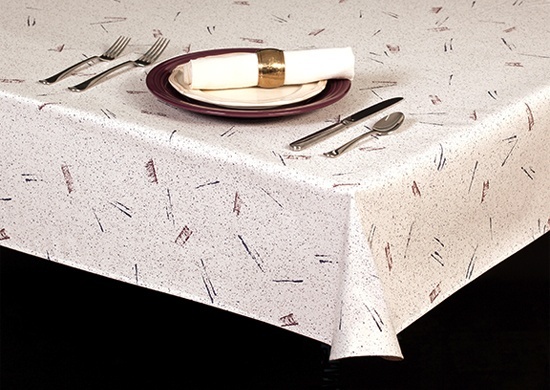 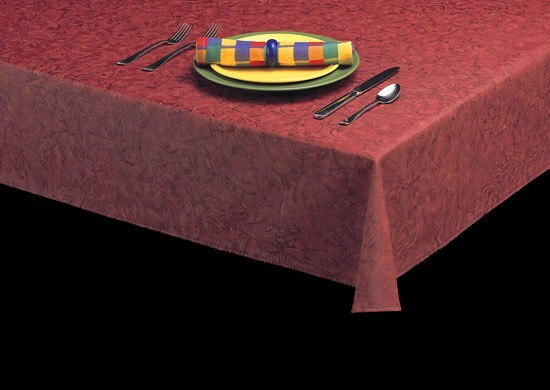 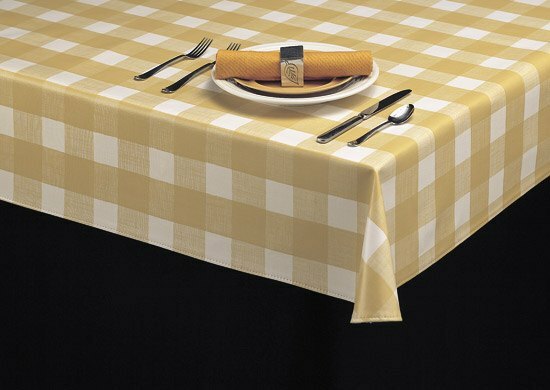 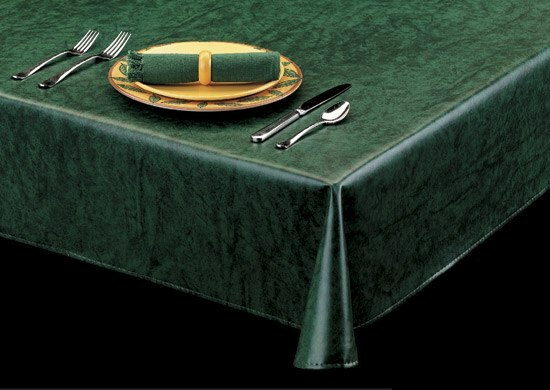 Americo's Classic vinyl table covers series are a great alternative to buying or renting woven table linens. 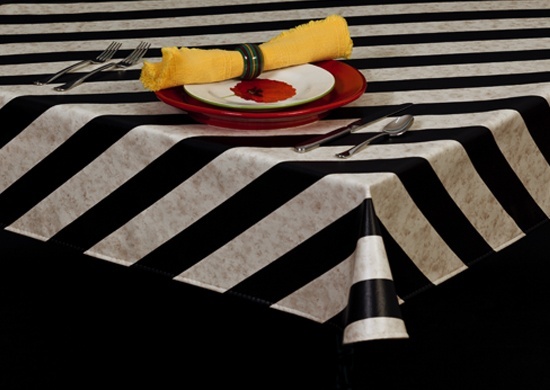 You get a designer look, but without the upkeep—vinyl wipes clean with soapy water. 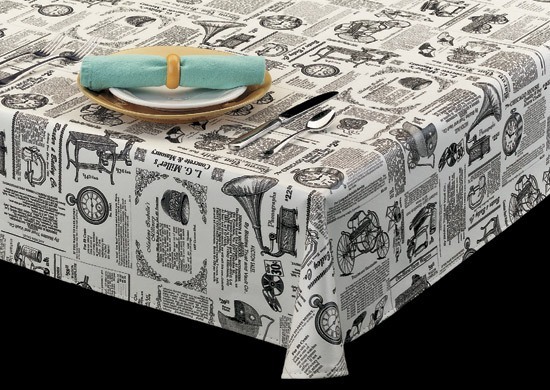 Bye-bye laundry bills! 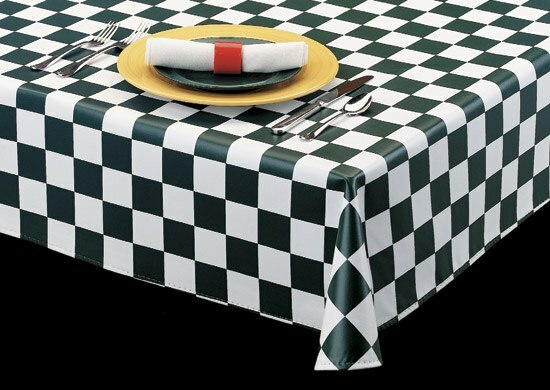 Available as custom sized table covers, by the piece, or by the roll. 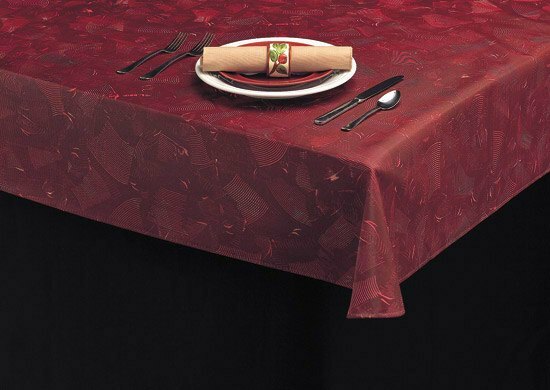 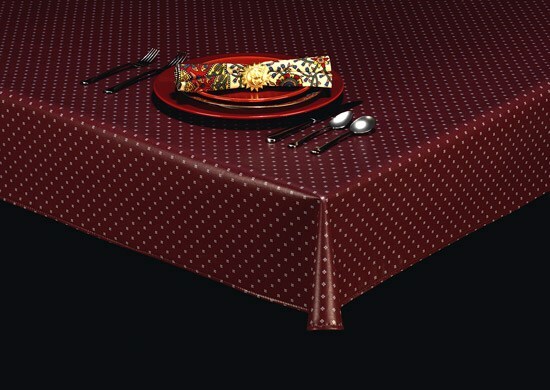 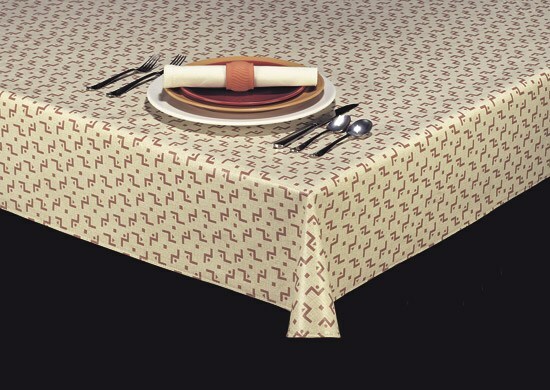 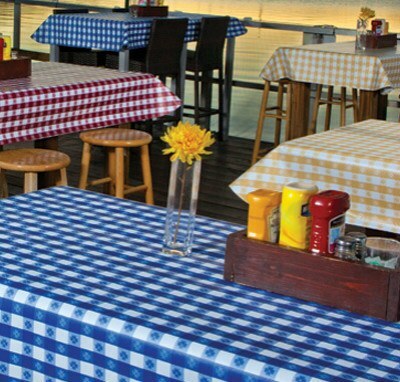 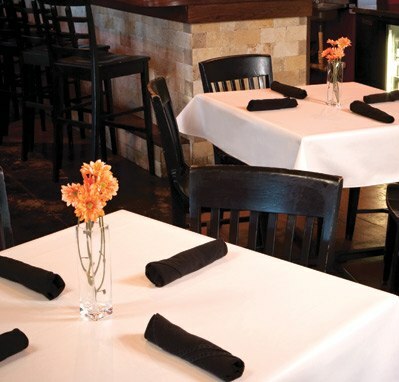 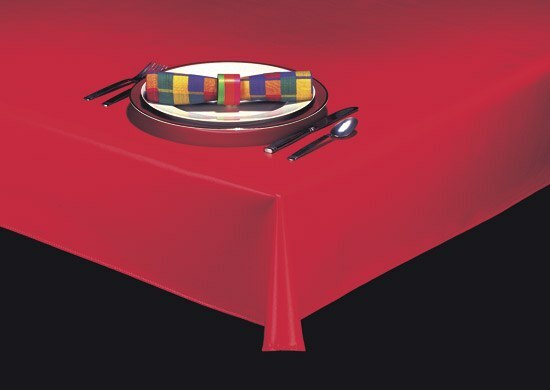 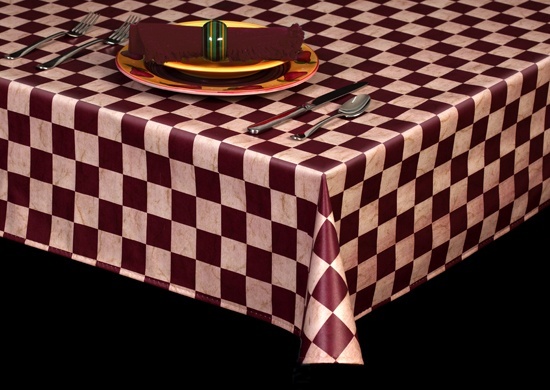 Custom fit, made-to-order table covers are our specialty at Americo! 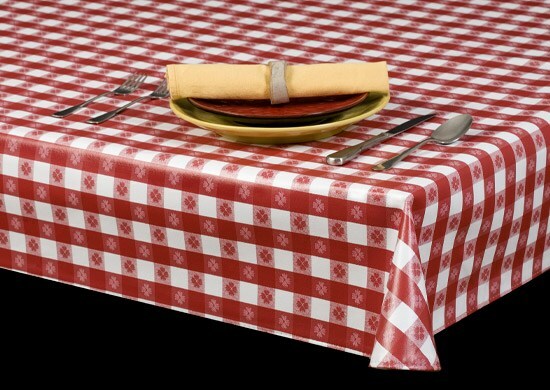 We also sell custom cuts of 10 yards or more, or you can order a 25-yard roll. 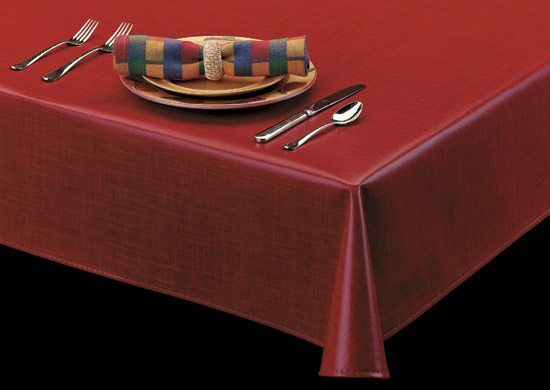 (Fabric is 54” wide). 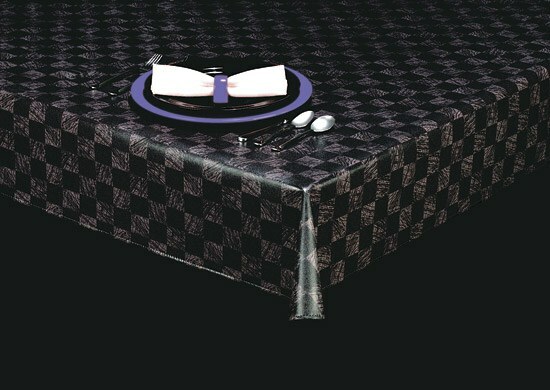 Most roll goods are in stock and ship within 1 business day. 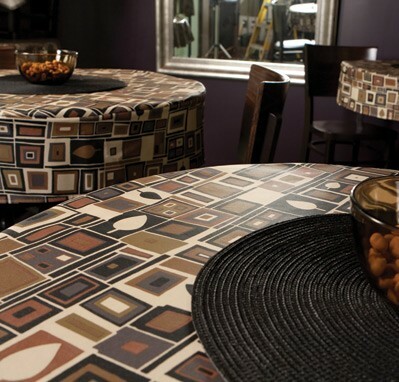 Click on a style below to see all your color choices.